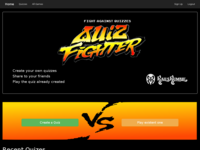 Quiz Fighter is a web application that allows you to create simple public and private quizzes. 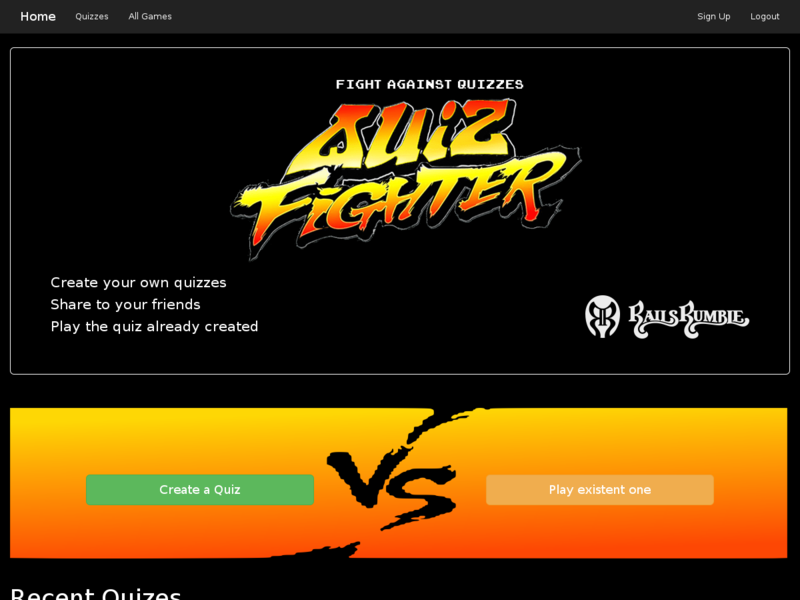 The main point and fun is that each quiz question interpreted as a 8-bit fighting round and the quiz itself represented as a game that consists from such rounds. Built By Team "Crazy Lemurs"